I blame blaxploitation.com for this one. One of my favourite websites of yore, their list and capsule reviews of funky soundtracks was a great source of inspiration as well as shopping guide, and a 4 out of 5 rating is what induced me to buy it. Most of the time they could be counted on. Not always though. 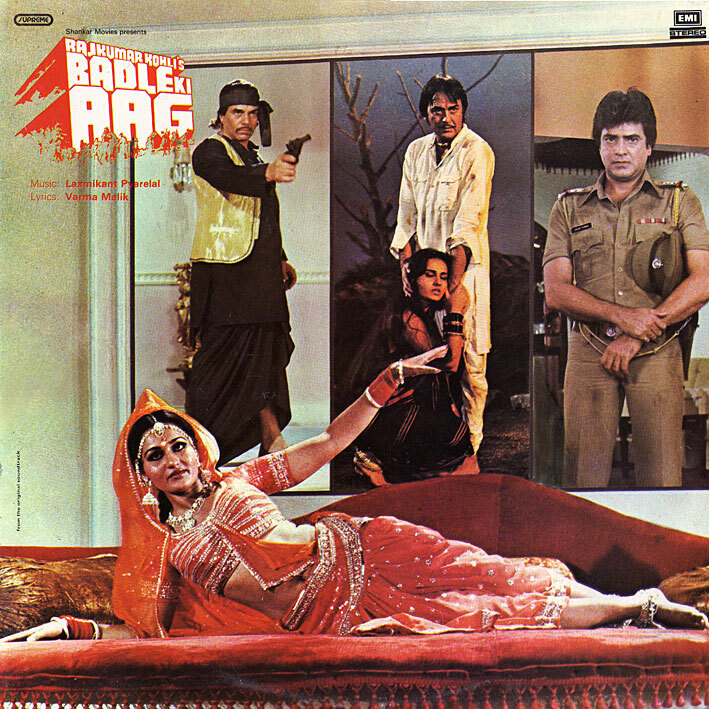 'Badle Ki Aag' isn't very good. 'Jawani Men Aate Hain Daur Char', the disco selling-point of the album, isn't funky at all aside from a bit in the intro. Sure, you can dance to it, if you like your dance music formulaic and tacky; I usually don't. 'Yaar Mera Chikana Ghada' just about manages to hold my attention for an entire listen, otherwise this score is a humdrum effort. I'd have given it a 2. One problem is... it was recorded about five years too late! Sorry you had to actually pay for the record. This movie was around the time Hindi Cinema had reached (or was close to reaching) it's nadir. The old guard of actors were on their last legs, clinging desperately on. The actual movie I remember was extremely bad, lots of blood & gore & loads of overacting. So you couldn't really expect much from the music.